Anti-Spy window film is blocks wifi and cell phone signals. It is made up of aluminum and titanium sputter coated polyester in several layers. It has a scratch resistant coating. According to the Standard Test Method for Measuring the Electromagnetic Shielding Effectiveness of Planar Materials, it is 90-99% effective. Natural light still enters the room. Businesses that have a lot of glass and use wireless devices are susceptible to being targeted by people who know how to get into their systems. Wifi signals can go through walls, but most go through windows. Architectural trends show that more and bigger windows are being put in offices all the time. Along with that, the use of wireless signals has also increased and will continue to do so. These things combined increase security risks. 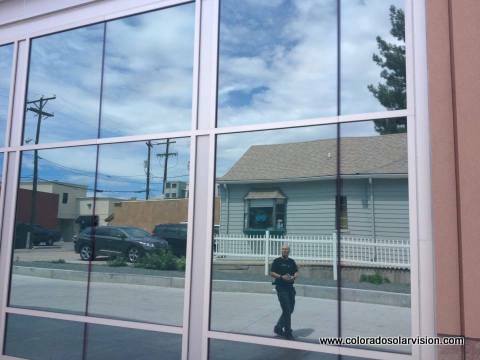 Reflective window film reduces leakage. To increase its effectiveness a metal strip can be placed around the gap between the film and the window frame. No window film application can be done with no gap between the film and the frame though the gap is small. 1/8 inch is an acceptable application. 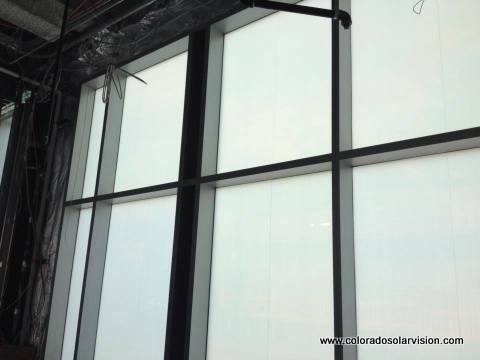 Solar Vision is experienced in applying this type of window film. Dichroic 3M glass finishes is a film that can be applied to glass or some plastics that show an array of color. The color changes with the light that it is exposed to, the color of the surface it is applied to, and the angle it is viewed from. This amazing film creates unique effects in whatever environment it is used in. 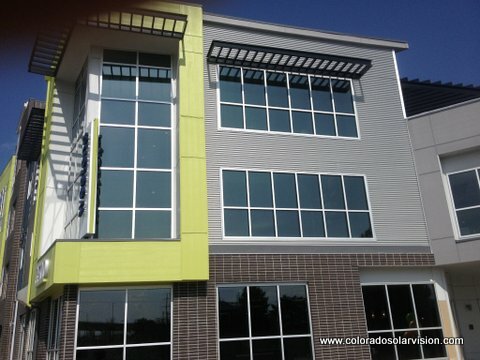 (http://solutions.3m.com/wps/portal/3M/en_US/architectural-markets/home/glass-finishes/dichroic/) Dichroic 3M glass finishes are mostly used in commercial buildings, but can also be used in a home for a unique effect. 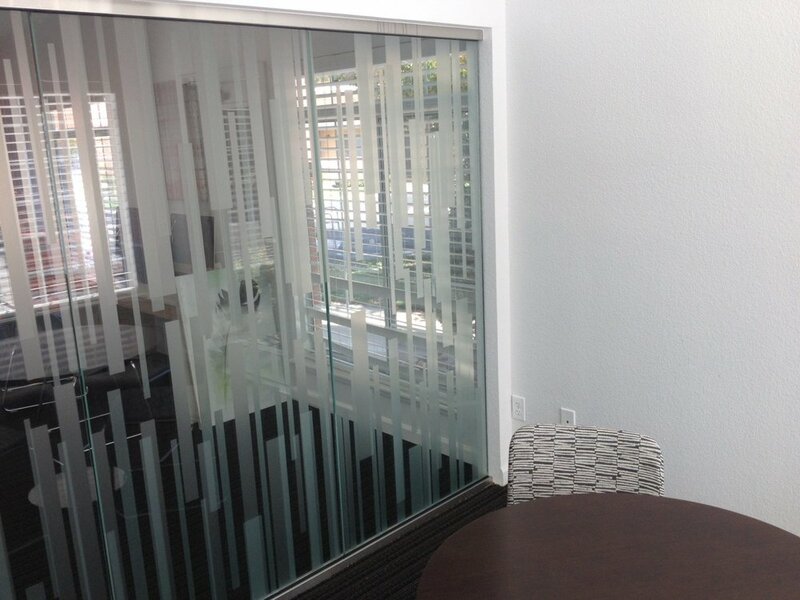 The look can be obtained by purchasing dichroic glass, but using film is a much more cost effective solution. The application of it is also much less expensive than installing the glass. Dichroic film 'plays' with light, reflecting and bouncing it to reveal a natural color spectrum. a visible color shift from both sides of the film-covered glass. applicable for glass and many plastics. available in warm and cool colors. made of premium grade multi-layer polyester. The film needs to be applied in an area where it will not receive abrasions. A clear laminate protection is recommended. 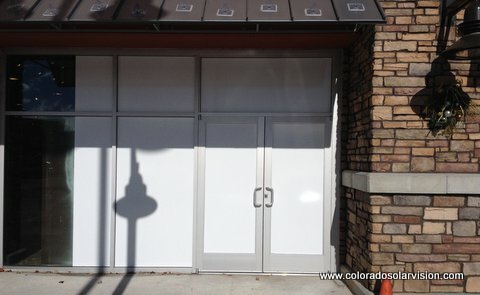 Hallmark stores remodel with Di-Noc. Hallmark stores are a national account held by Solar Vision. Before remodeling the look was dark. After it is light and updated. Di-Noc is an architectural finish that has many uses. It takes the place of natural and hi-tech finishes. It is considered to be a "Designer's Dream." There are now over 700 different finishes. Di-Noc reproduces wood, metal, marble, leather, stone, stucco and more. If another surface is desired, it can be specially ordered. Di-Noc helps create green buildings by using materials that already exist and reuse them. ( http://multimedia.3m.com) Walls, desks, etc. can be reused creating less land fill and saving company resources. It is less expensive than replacing the covered areas. If Di-Noc is applied during off hours, the workers or customers leave and return to a place where the space with the Di-Noc has been transformed. There is no dust to clean up and there are no fumes. Di-Noc can be used in the interior or the exterior of a building. This architectural finish is primarily used for commercial applications. It also can be used by residential customers. Some Di-Noc is specified for use outdoor. Some is specified for use in wet areas such as bathrooms. Solar Vision does installations for clients with multiple buildings spread across the United States. The Hallmark stores are one of those clients. Doing business with us makes it easy to get the film you need installed and to have it be consistent throughout the US. Procuring through one company means: ⦁ Consistent quality and workmanship ⦁ Best pricing available ⦁ The same look can be achieved for each of your sites. ⦁ Communicate with one person ⦁ Time saving Solar Vision has a proven track record completing projects for Hallmark and Sports Authority stores throughout the states. I've Been Everywhere by Geoff Mack I was totin' my pack along the dusty Winnemucca road, When along came a semi with a high an' canvas-covered load. "If you're goin' to Winnemucca, Mack, with me you can ride." And so I climbed into the cab and then I settled down inside. He asked me if I'd seen a road with so much dust and sand. And I said, "Listen, I've traveled every road in this here land!" [Chorus:] I've been everywhere, man. I've been everywhere, man. Crossed the desert's bare, man. I've breathed the mountain air, man. Of travel I've had my share, man. I've been everywhere. I've been to: Boston, Charleston, Dayton, Louisiana, Washington, Houston, Philadelphia, Portlandia, Louisville, Nashville, Knoxville, Minnesota, Glen Rock, Black Rock, Little Rock, Oskaloosa, Tennessee to Davenport, Spirit Lake, Grand Lake, Devils Lake, Salt Lake, for Pete's sake. Solar Vision carries national accounts. The team travels all over the United States. 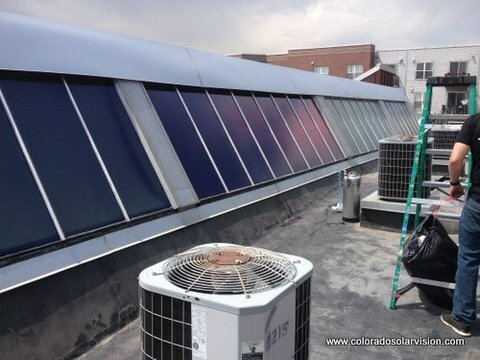 Solar Vision does installations for clients with multiple buildings spread across the United States. Doing business with us makes it easy to get the film you need installed and to have it be consistent throughout the US. In situations where union membership is required, Solar Vision acquires local installers for the job. Solar Vision makes all the arrangements and still assures the quality of the work. This past month teams have been in New Hampshire and Daytona Beach, Florida. Procuring through one company means: ⦁ Consistent quality and workmanship ⦁ Best pricing available ⦁ The same look can be achieved for each of your sites. ⦁ Communicate with one person ⦁ Time saving Solar Vision has a proven track record completing projects for Hallmark and Sports Authority stores throughout the states.